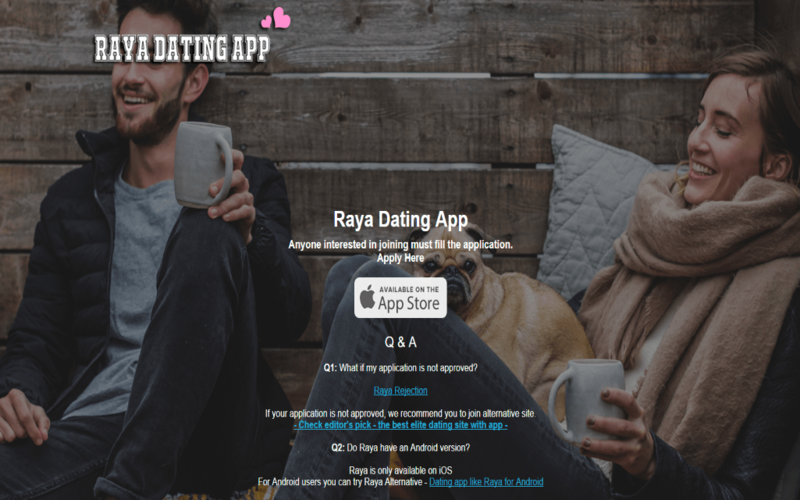 The Raya dating app is just one of the latest of smartphone apps for people looking for Mr. or Mrs. Right. It’s also known as one of the Tinder Alternatives – A celebrity dating app like Tinder for Celebrities, peaking the interest of many. But it’s not just any type of app. There are a lot of fun facts about Raya and here’s a look at the best ones. There is one rule about Raya: You don’t talk about Raya. It’s supposed to be one of the biggest dating app secrets, but it currently the worst kept! The people behind the app want to keep everything confidential, but everyone else just can’t keep their mouth closed about it. However, taking screenshots of conversations is definitely not allowed. Anyone caught can find themselves kicked off the app. In fact, the app is able to find out if you’ve taken a screenshot and will give you a warning message not to put it online. The rule of not screen shots hasn’t stopped screenshots from getting online. But most are definitely not by the celebrities. If it wasn’t for a celebrity hack, we wouldn’t have known anything about the app or that it existed. When Kelly Osbourne’s profile was hacked, the account was leaked online. There have been plenty of celebrities outed since them, but this one has remained the most famous because it was the first. Want to get onto this dating app? Well, you can’t just sign up. You’ll need to have an Instagram account with an extremely good following. Think of a few thousand at least, and even that isn’t going to guarantee you access. It doesn’t matter what your other social media accounts are like. Your Instagram is where it is. Don’t think that buying followers will get you in, as a group of humans will assess your following to see if you’re worth. The Instagram profile is just one part of the application process. There’s a secret group of people judging who you are and why you want to join. It makes sense, since this is supposed to be a secret dating app for celebrities. The aim is for celebrities to avoid the hassle and harassment of people not in their circle. Those referred by another member of Raya do get looked at more favorably, but this isn’t an instant approval. Think of it as the Jedi of dating apps. Your job is taken into account. If you’re an everyday housewife or someone with few dreams, don’t bother applying for Raya. Only the best of the best are taken. Creative, desirable, and awe-inspiring jobs are necessary. Head of NASA? You will more than likely be welcomed into the fold. Bigger than Zoella on YouTube? You’ll definitely stand a chance. Like to sit around and just watch TV? Think again. It’s not all about money though. The focus is on creativity. If you’re sitting at home constantly creating inspiring artwork or inventing the next smart gadget, you’ll stand a chance of approval. Remember the creativity and drive? Well, it’s not just to help match you up with like-minded people. The creativity will help you find a match. Unlike all other dating apps, Raya doesn’t have an automatic personality matcher. Have fun getting back into the old-school method of finding a date. Don’t worry if you don’t find dates. You can always find a business prospect!